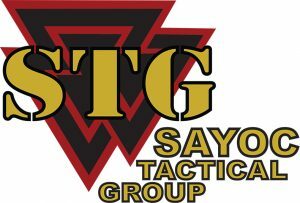 For the last 20 years, Sayoc Tactical Group (STG) has been a leader in mission-relevant integrated combatives training for the DoD, Naval Special Warfare, and U.S. Army Special Forces. STG Instructors are former military, law-enforcement, and civilian professionals. They have decades of experience in empty hand fighting, edged weapons, impact weapons, improvised weapons, low-visibility / reduced signature operations, vehicle combatives, team tactics, firearms, and Logical Order of Thinking (LOT). Our curriculum has been developed for the specific needs of modern warriors and has been tested/refined over time by direct feedback from those in the field. STG has redefined modern combatives. Sayoc Integrated Combatives combines empty hands, edged weapons, and firearms skill-sets and provides a process for using all three as a complete system. STG might be best known for its excellent scenario-based training. STG professional role-payers bring their knowledge and experience into combative and non-combative role-playing scenarios. This level of expertise greatly enhances the realism in training. STG provides physical products to our clients. These products are custom-made by master craftsmen, tested, and proven in the field.